Morphin Sanitas and Atropino sulfatas Sanitas medications, produced by the Kaunas-based pharmaceutical company Santonika, are being recalled from the market after the producer mixed up external packaging, informs LETA/BNS. 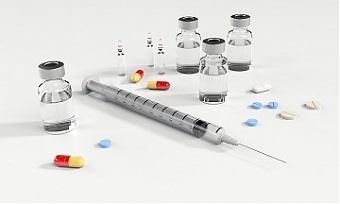 "It happened so that in a part of the series produced by our producer Santonika morphine ampoules were put into the external packaging of Atropinas," Gintautas Barcys, head of the State Medicines Control Service, told. Under his order, medications Morphin Sanitas 10 mg/ml injection solution 1ml N10 (series 1-110318) and Atropino sulfatas Sanitas 1 mg/ml injection solution 1 ml N 10 (series 1-110318) are being recalled. Both of these medications are sold with prescriptions. According to Barcys, eight misleading packages have already been found, and he does not discount the possibility that no more wrong packages will be discovered. "The internal packaging is right and information on the ampoule is correct, but the ampoule case was put in a paper package intended for a different medication," Barcys said. An internal investigation is underway at both the medicines control service and the pharmaceutical company.